I’m getting to be a huge fan of Rhea Footwear! 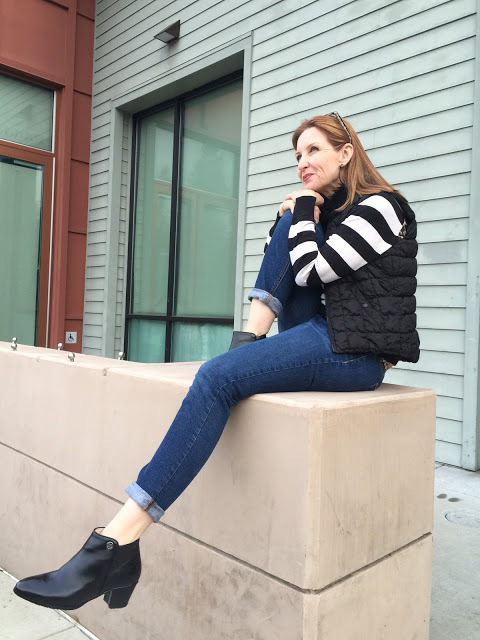 In case you missed it, here’s my review of their Classic Flats in California Red. Now let me introduce you to my winter favorite, the Daphne Bootie. Gorgeous leather and chic style! Read about their Non-Slip Technology! How fab do this booties look with this fun weekend look? But the cool thing is that they look just as perfect with a pair of trousers or a skirt with tights. Love the beautiful luxe high quality leather! Be sure to check out the Daphne Bootie in the rich chestnut brown as well. 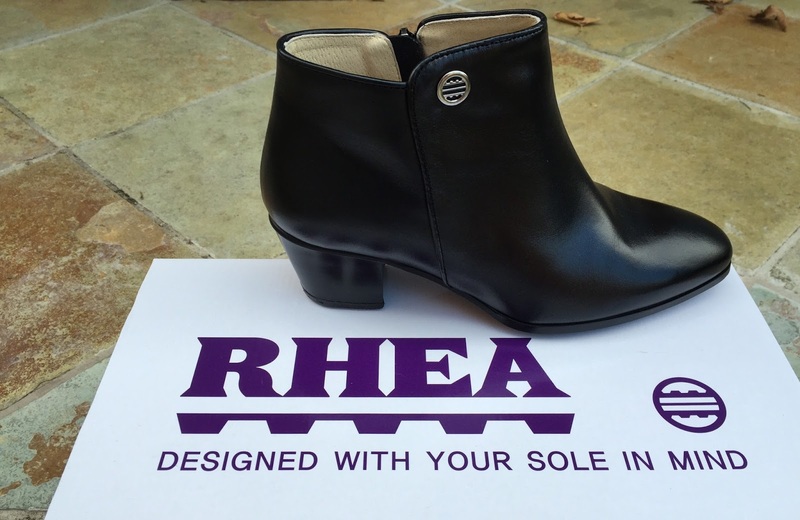 Rhea Footwear is now offering my readers %15 off with the coupon code: fashionshouldbefun …. Great idea for a gift for someone on your list (or for yourself)! 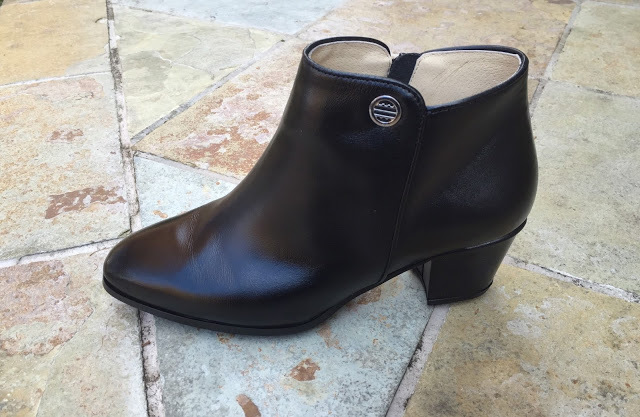 Disclosure: Rhea Footwear gifted me these booties to review. All opinions are my own as always. These are awesome boots! They are versatile and classic. Cool boots – I love the short style and the tapered heel. And you're right about non-slip soles – safer AND quieter. Cool outfit, too, in a classic and comfortable kind of way. This shoe brand should head to Norway pronto! We need them! There are so few winter shoes that are warm, non slippery on ice/snow and also look chic, but these guys have nailed it. Cute! You will get lots of use out of those booties! Black ankle boots are such a classic! I like how you're wearing them with cropped jeans so your bare ankle is showing. Hee … thanks, Dear! Muah! Love the red shoes and now these boots! They look great, quality leather and the heel isn't too high. None slip is the must for me who is living in Michigan. Our parking lot is often icey during the early morning at our school. Those boots look great too. I love those boots! So chic and perfect for the cooler holidays! Those booties are so gorgeous and so chic! I love them and the way you paired them with your outfit! Love these booties on you! The quality looks great and you can wear them with everything! 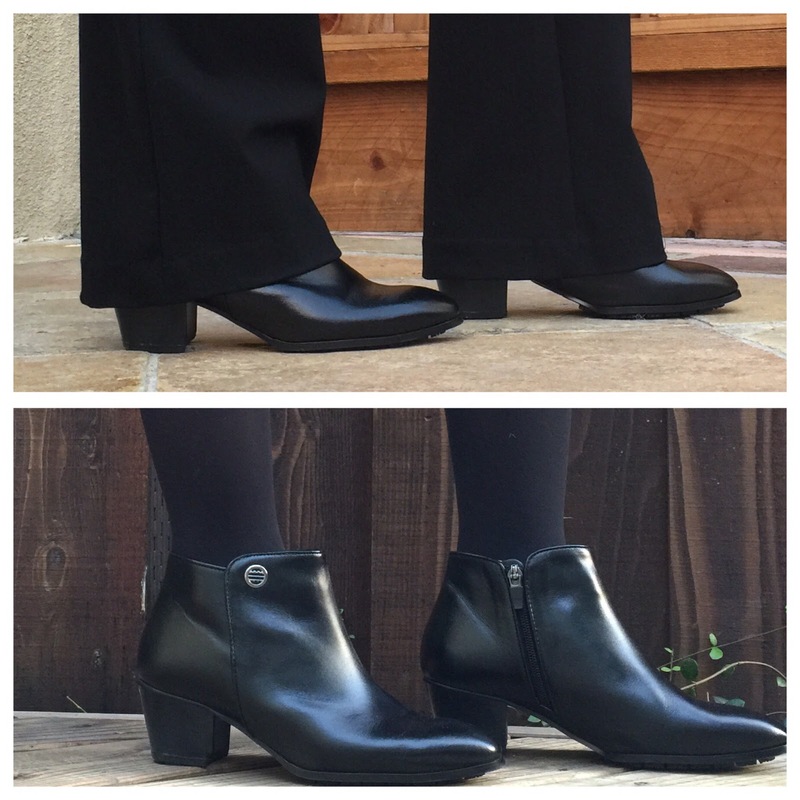 There is nothing better than a pair of fabulous boots with a non-slip sole. It's always a nice surprise to flip over a boot and see a nice solid lug sole…lol! This is a fabulous casual look Dawn. BTW, I love the pics of you and Lynn together on your Instagram! These booties are perfect for you! Too many you mention about being cold, this morning my son's school playground had some frost (which never happens) and my son was so mesmerized by it. He asked me if he could touch it. Yup, we are pretty lucky to live in sunny CA but it's nice to have a little change of weather.